Estate planning has truly evolved over the past 20 years. Gone is the uncertainty about federal estate taxes and the absolute requirement for married couples to use complex trusts to minimize these taxes. But also gone is planning for the “traditional” family. In this issue you will learn why estate planning has become more complicated and what your clients need to do now to insure their estate plans are flexible enough to roll with the changes. Fast forward 20 years and in 2015 the federal estate tax exemption is a whopping $5.43 million and will continue to increase annually based on inflation. In addition, between 2002 and 2013 the federal estate tax rate dropped from 55% to 40%. On top of the generous exemption and lower tax rate, married couples can now combine their estate tax exemptions and pass on two times the threshold ($10.68 million) without Marital/Family Trust planning by making the “portability” election. Aside from this, probate can be easily avoided by establishing payable-on-death bank accounts and transfer-on-death (TOD) investment accounts and in some states TOD vehicle titles and real estate deeds. While the federal estate tax rate has declined from 55% to 40%, since 2012 the top federal income tax rate has increased from 35% to 43.4% and the top long-term capital gains rate has increased from 15% to 23.8%. Some irrevocable trusts might pay these high tax rates when realized but undistributed gains reach only $12,300 (for tax year 2015). This has made minimizing income taxes an integral part of estate planning. Today with the generous and ever-increasing estate tax exemption and “portability” of the exemption available to married couples, it is estimated that 99.8% of Americans will have no federal estate tax exposure. As a result, traditional Marital/Family Trust planning is no longer a necessity for the majority of families. In fact, an older Marital/Family Trust plan will lead to an unnecessary income tax liability for heirs since the assets of the Family Trust will not receive a step up in basis. Leaving assets outright to the surviving spouse and making the portability election; but beware of spendthrifts, creditor issues, remarriage complications and loss of bloodline protection. Taking a wait-and-see approach, such as all to the Family Trust with the ability to disclaim to the Marital Trust, or vice versa. Reforming the trust: Using judicial interpretation to determine and properly restate the trustmaker’s intent. Modifying the trust: Changing the terms of the trust by agreement or a court order to meet the trustmaker’s tax‐saving objectives provided that the resulting terms are not inconsistent with the trustmaker’s intent. 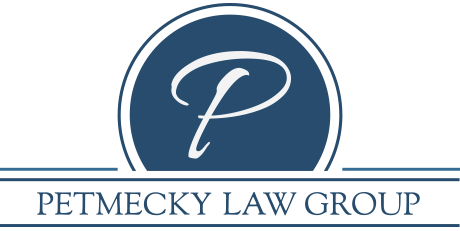 Equitably deviating the trust: Modifying the trust provisions by agreement or a court order upon the showing of an unforeseen change in circumstance the impact of which would frustrate the trustmaker’s intent. Planning Tip: Ask your clients when they signed their current estate planning documents and how long it has been since the documents were reviewed by their attorney. If the answer is more than a few years, then explain how the focus of estate planning has changed and why their estate planning documents must not be stashed in a drawer and forgotten until needed. Estate-tax-driven estate plans are a thing of the past for most Americans. Higher income tax rates, changing state laws, unfavorable jurisdictions and wayward heirs all add up to the need for an estate plan that will be able to adapt over time. Modern families need modern estate planning solutions, and our firm is ready to help your clients plan for now as well as what may happen in the future.